Key Housing, a top-rated corporate housing service for the San Francisco and surrounding Southern California area, is proud to announce their November, 2015, featured apartment community: Bayside Village. By selecting a featured apartment community in San Francisco and Southern California, Key Housing is helping those people looking for corporate housing to find quality housing in what is one of the tightest apartment markets in the United States. The featured apartment community for November, 2015, is Bayside Village. Interested parties can view the property in the San Francisco area. It is located at 3 Bayside Village Place San Francisco, California. 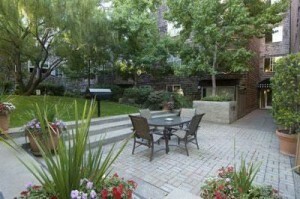 To browse other available San Francisco corporate housing please visit the San Francisco webpage. At both locations, one can easily browse a plethora of available short-term housing for corporate renters available in the city. The expertly maintained and lushly landscaped grounds catch the eye when first arriving at here. A park-like setting with bubbling fountains induce a sense of calmness and serenity. Be ready for more surprises (of the pleasant kind), as Bayside Village is not a run-of-the-mill example of San Francisco corporate housing. There are a variety of apartment floor plans to choose from, designed to hit the sweet-spot for discerning clients. Some units have territorial views of the city, complemented by floor-to-ceiling windows, others opt for a calmer scene, facing the garden/courtyard, even opening out with balconies or patios as appropriate. All apartments have full kitchens and appliances, spacious closets, tile baths, and laundry facilities located conveniently close by. Bayside Village places an emphasis on staying healthy. What other San Francisco corporate housing location can boast of this multiplicity of three’s: three spas, three heated pools, and three dry sauna rooms for men and three more for women! In addition there are both cardio and weight rooms. A special amenity: yoga and aerobic classes on-site, the height of convenience (nope, not in Kansas any more!). Of course the more traditional ‘recreation’ room is also available, and large-screen TV’s to view (to rest after exercising, naturally). While getting to and from San Francisco corporate housing can be challenging, Bayside Village has anticipated the problem and offers a daily shuttle to the financial district. Multiple flavors of taxi service (Yellow, Uber, Lyft) can also get tenants where they need to be (traffic permitting), but if nothing but a car will do, underground parking is also available. Availability for corporate renters cannot be guaranteed; however, Key Housing has many other available opportunities in the hot San Francisco and Northern California rental market. Interested parties are recommended to either use the website, or contact Key Housing directly for personal assistance with their San Francisco temporary housing needs. San Francisco, Los Angeles or San Jose as well as smaller cities like Fresno, San Diego and Sacramento. Whether the need if for a serviced apartment or a short term rental, corporate housing or short term apartments, just browse our listings to find the rental that fits one’s short term corporate housing needs. We are competitive with extended stay hotels in cities such as Cupertino, Santa Clara or even Long Beach, and many nurses, interns and people seeking pet friendly corporate rentals or corporate relocation services depend on us for their furnished apartment or other temporary housing needs. Whether after Los Angeles corporate housing, short term rentals in San Francisco, or a serviced apartment in San Diego – we can aid the search for the right apartment in the Golden State. After all, we’re among the top-rated short-term apartment listing service in places like Redwood City, Santa Monica, Newport Beach and just about every city in California. Whether it’s serviced apartments or a furnished rental, just search, click or call today! This entry was posted in Corporate Housing, Press Releases and tagged Corporate Housing, San Francisco, San Francisco Corporate Housing on October 31, 2015 by Lee McDonald.